We offer private or group tours of our tea garden followed by tasting Big Island Tea: `A`a Black Tea and Kilinoe Green Tea. 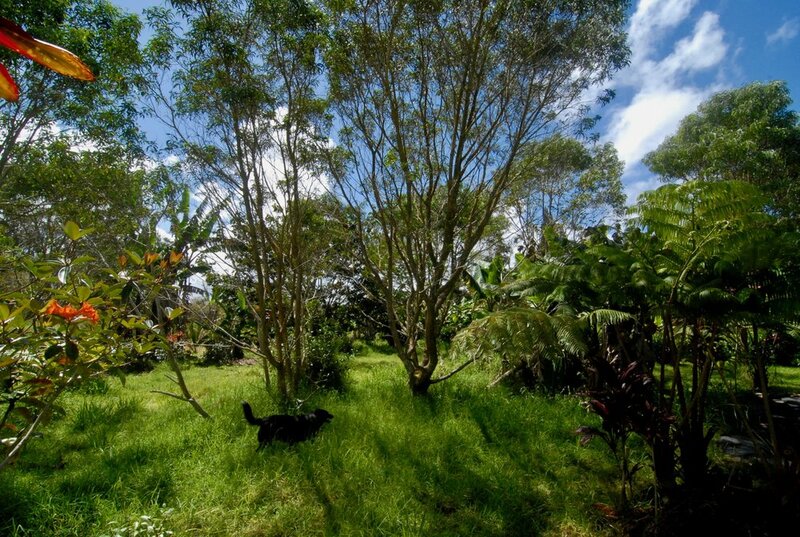 Eliah has over 30 years experience in creative landscaping and 17 years farming tea. 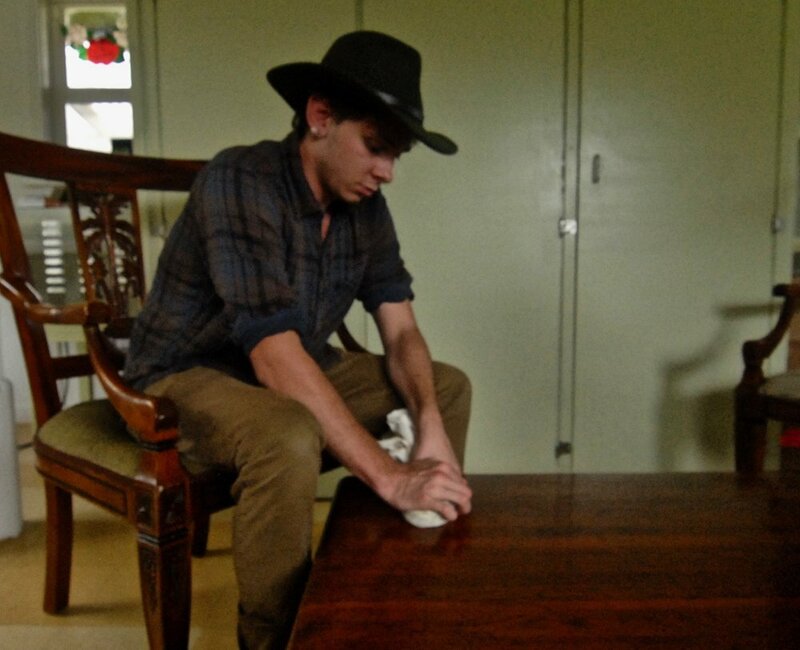 Cam has 28 years experience teaching university biology: genetics, ecology, evolution, biochemistry, etc) and 17 years working part-time with Eliah on the tea. 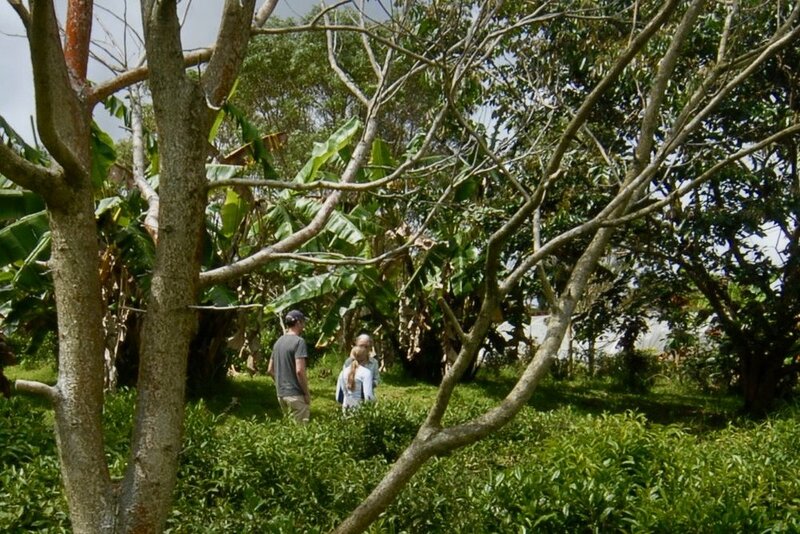 Together, Eliah and Cam tell a fun and interesting story of the culinary, cultural, ecological, social, and scientific underpinnings of Big Island Tea. 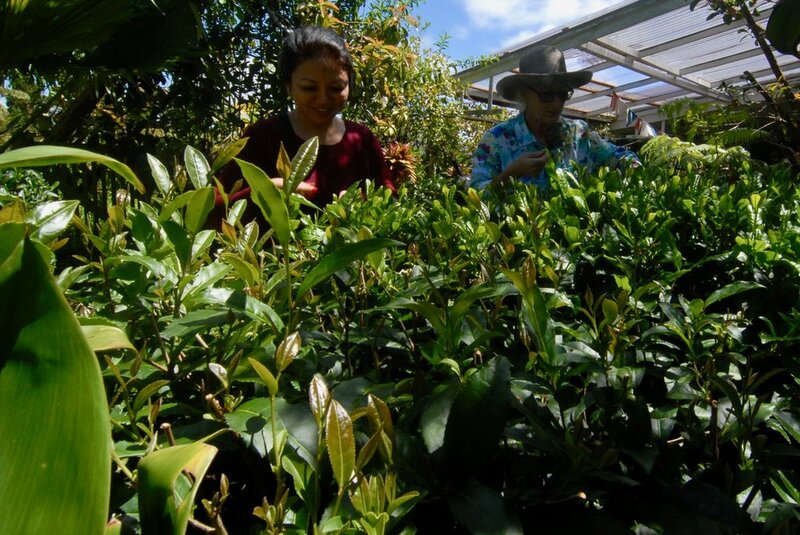 Big Island Tea was established, and planted its first tea trees in 2001. In 2004, Kilinoe Tea Forest was planted by Eliah and Cam to replace a commercial/greenhouse operation which was surrounded by 7‘ invasive grass. “Kilinoe” means misty rain in Hawaiian, which is the prevailing weather pattern on the farm. We are rehabilitating a native cloud forest habitat in which tea thrives at on the NE slope of Mauna Loa volcano. FYI: wild tea is a forest dwelling sub-canopy tree. $85 for 1 or 2 people; $40 each extra person; $30 for students (with school ID) and minors; Children under 12 free. Reservations are required. Please contacts us. Customized workshops can be arranged. Learn to Process Green Tea Workshop. 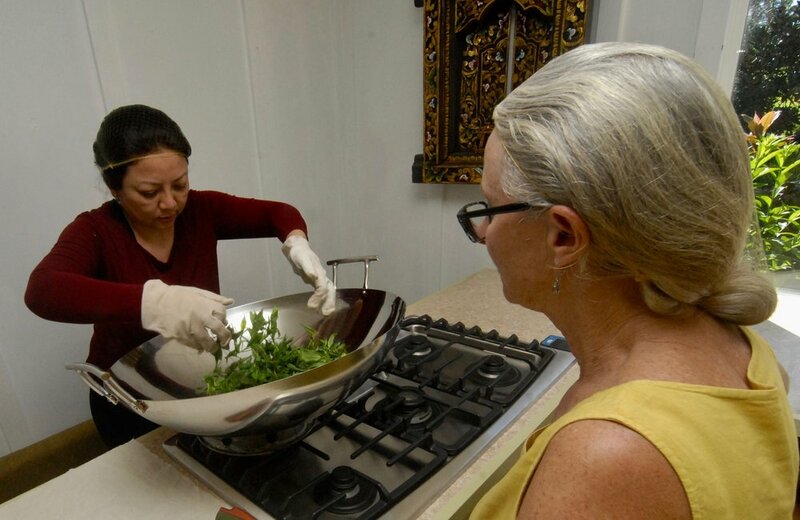 Big Island Tea now gives workshops on how to hand-pick, hand-roll a whole leaf green tea. The day's schedule includes an educational tour of the farm followed by a sampling of Big Island Tea. We spend 2 hours picking tea, break for lunch while the picked leaves wilt and then come back to learn how to fire and roll the leaves. The workshop starts at 9am and ends around 4pm. Visitors return the next day to pick up their dried finished tea to take home to share their Hawai`i tea farm experience. $225 for the 1st guest, each additional guest is $100. Students (with. school ID) and minors are $75. Do you want to establish your own tea forest? We can help you. Ask us about our consulting service.